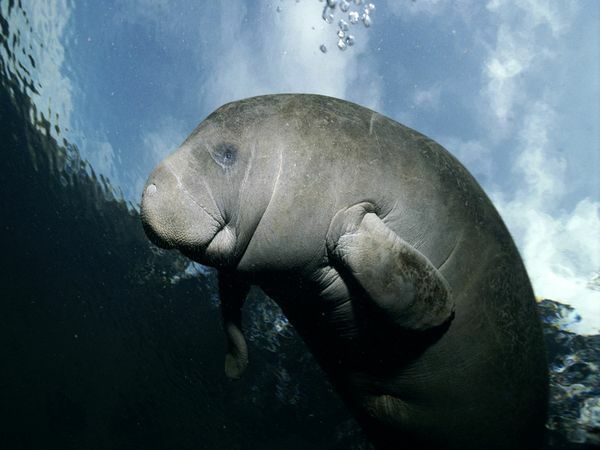 (INTERESTING ANIMAL FACTS/ABOUT ANIMALS) Today, March 27 is Manatee Appreciation Day! Manatees–sometimes referred to as the cows of the sea–are considered to be a vulnerable species given there are less than 10,000 mature manatees left in the wild. 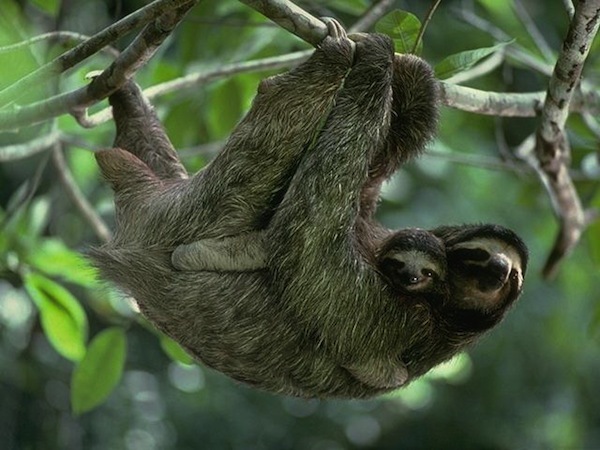 They are a loving, adorable species who need our help. Check out these 15 fun facts below and see how you can help keep this species alive and well. 1. Manatees are typically very slow animals, but can swim up to 20 mph. 2. Manatees cannot turn their heads sideways because they only have six vertebrae in their neck. 3. Their diets consist of water grasses, weeds, and algae. This makes them the only aquatic mammal that is an herbivore. 4. Manatees can weigh up to 2,000 lbs. 5. Manatees can live in both saltwater and freshwater. 6. Manatees are credited for being the basis of the mermaid legend. 7. Manatees never leave the water but must come to the surface to breathe. 8. Manatees breathe through their nostrils. 9. Manatees are born underwater and mothers help their calves to the surface for their first breath. 10. Manatees can eat up to a 10th of their body weight. That would be like a human eating about 15 lbs of food in one day. 11. The manatee’s closest living relative is the elephant. 12. Manatees have no natural predators but are still in peril due to watercraft accidents and loss of habitat. 13. Manatees don’t have eyelashes, instead their eyes close in a circular motion. 14. Manatees are the state marine mammal of Florida. 15. The two separate parts of the manatee’s lips can move independently from each other to grab food.